After subsisting on collaborations and past works for 9 months, the singer is beginning to feel the impact of his content drought. 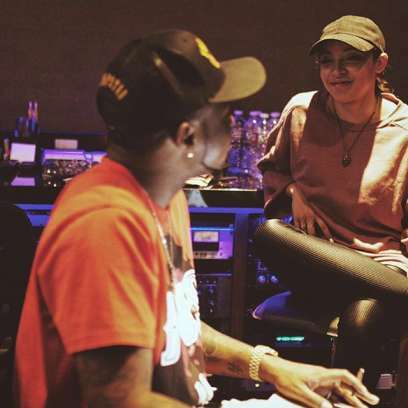 Davido’s inactivity in the music scene is beginning to tell on him. The singer who signed to Sony Music Entertainment in January 2016, is yet to release new music after 9 months in the label. And although he has been hard at work recording new music, he is yet to make a first official release under the music giants. Davido, who broke out in 2011 after the success of single ‘Dami Duro’ has been a constant feature on the playlists and charts. With one successful studio album, and a discography filled with African hit songs, the singer has pushed through the ranks and dominated the African continent on the strength of his music and the power of his celebrity. But at no point since he broke through has he experienced a drought in music releases. But it’s happening. No solo record from the singer has been heard across the world since he signed along the dotted lines on a Sony Music contract, and sealed his distribution in the US with RCA Records. Instead, for him, it’s been a complicated story of planning, authorizations, failed release dates and anticipation. With all of these happening, it is natural that the singer’s stock can fall within the market. After all, music depends on the availability of content, or a strong legacy built by numerous bodies of work, that can be drawn upon, rated and utilized. 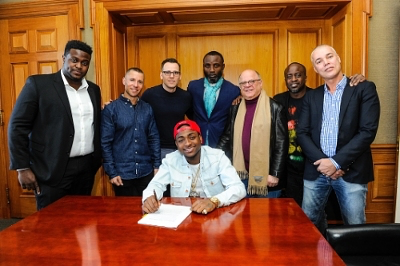 Davido for all his ubiquity on the continent boasts of a solo album “Omo Baba Olowo”, which was released in 2012. All of his other great works have not been packaged into another project. His sophomore, which was scheduled for release in 2015, was shelved after the intervention of Sony Music. The singer is still subsisting on past hits and collaborations to get by, but he isn’t in all honesty, one of the hottest acts in the country. We now have Tekno for that, thanks to a vacuum created by a lack of content. Another stark way to measure Davido’s fall from grace is the award nominations which are currently being released. 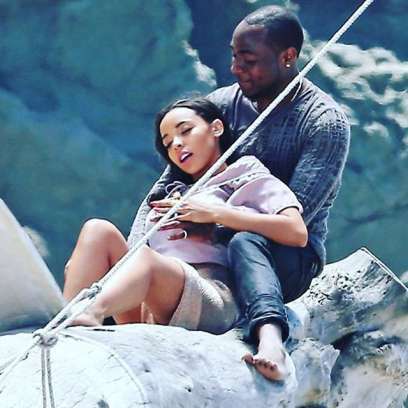 Davido’s lack of content has excluded him from the honors or making the lists. The singer has won the MTV Music Africa Awards for the past two years as the Best Male Act in Africa. But this year, no nomination has gone his way. His only mention in the preliminary list has been for his contributions on ‘Juice Back’, a song by Nasty C, which also features Cassper Nyovest. For MOBO Awards, he was also a no-show, as his name also did not make the “Best African Act”. Although Tkeno, Yemi Alade, Wizkid, Tiwa Savage, Mr Eazi, and Olamide made the list. New music will be released soon, with sources stating that his planned EP, “Son of Mercy” will be dropped anytime soon, with videos and international collaborations to propel the African star to the to the top of the fame pyramid, and penetrate the heart of the US scene. Perhaps, that should happen soon, rather than later. It’s 9 months and that has not happened yet. One of Africa’s hottest artistes has no single in 2016. That’s what the facts say, and from a business and fan standpoint, it makes no sense. #MyAreaVibe|Life & Style Of WizKid As He Clocks 26 Today!